Les Hanois is a reef system to the south-west of Guernsey, also known as Hanoveaux. They form the westernmost point of the Channel Islands and are the location of the Les Hanois Lighthouse. The Les Hanois reef includes the major rocks of Le Bisé, on which the Les Hanois Lighthouse is built, Le Grand Hanois, Le Petit Hanois, La Percée, Round Rock and La Grosse Rocque. Ortac is an uninhabited island approximately 5 km from Alderney. Together with the Casquets, Ortac and Alderney are part of the same sandstone ridge. Ortac is approximately 50 meters by 70 meters, and rises to about 79 feet above sea level. It houses the most southerly colony of gannets. Over 6,000 breeding pairs have been recorded in the area. 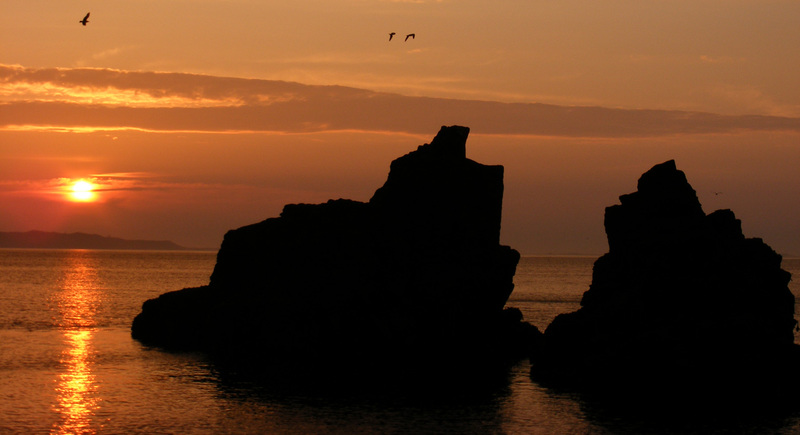 Les Casquets is a group of rocks just over 8 miles northwest from Alderney. They form part of an underwater sandstone ridge that also includes the islets of Burhou and Ortac. Several ships have been wrecked in the area and, as a result a series of lighthouses have been built in the area. The first started operation in 1724, it was formed of three towers lit by coal fires called St Peter, St Thomas and the Dungeon. The towers were built to distinguish them from lighthouses in nearby France. These lights have been superseded several times since then and, while the three original towers are still in use, only the North West Tower shines a light. It was automated in 1990. Les Casquets have been immortalised several times in literature. Victor Hugo, wrote in his novel The Laughing Man (L'Homme qui Rit): To be wrecked on the Casquets is to be cut into ribbons; to strike on the Ortac is to be crushed into powder... On a straight frontage, such of that of the Ortac, neither the wave nor the cannon ball can ricochet... if the wave carries the vessel on the rock she breaks on it, and is lost. In addition Swinburne wrote a poem called Les Casquets, which is based on a family, who lived on the islets. 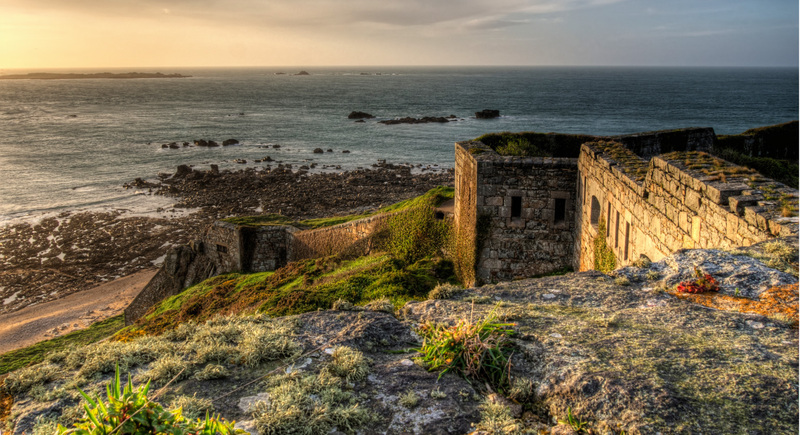 The family was originally from Alderney, and the poem describes their life on Les Casquets. The poem describes the daughter falling in love with someone from Alderney, and finding life, upon moving to the larger island, too busy. She finds the "small bright streets of serene St Anne" and "the sight of the works of men" too much and returns to Les Casquets. You can read the poem here. Brecqhou is located to the west of Sark and is approximately 74 acres in size. It is separated from Sark by Le Goulliot Passage which, according to legend, has only once been negotiated by boat in a high tide. However, in truth it is regularly navigated by yachts and fishing boats and even forms part of the route taken in powerboat events. The Barclay Twins, the owners of the Daily Telegraph and the Ritz Hotel, purchased the island in 1993 for £2.4 million from the inheritors of former owner Leonard Joseph Matchan. The twins subsequently built a mock gothic castle on the site of the existing manor house. The twins have attempted to make the island independent, however, despite their assertions Brecqhou remains a tenement of Sark. Jethou is to the south of Herm and is approximately 44 acres in size. It is privately leased and therefore not open to the public. It is flanked by two islets, Crevichon to the north (See below) and Fauconniere to the south. There is one house and two cottages on the island and, at its peak there is a marker. It is said that pirates were hanged on the marker with chains. 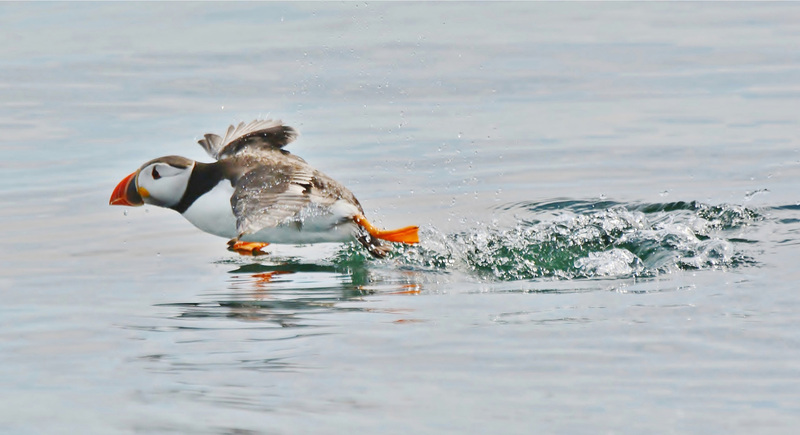 Puffins are regular visitors to the island and can usually be seen swimming towards the east of the islet. Crevichon is an islet off Herm, just to the north of Jethou which is around 200 meters away. It is approximately 3 hectares in size and uninhabited. Its name is Norman in origin and said to refer to the ‘isle of crabs, crayfish or cranes’. The islet has been a source of granite for various buildings. It is rumoured that the steps of St Paul’s Cathedral in London are constructed of Crevichon granite. Crevichon granite was also used in the harbour of St Peter Port harbour and, due to its use as a source of this granite, evidence suggests that the islet was much larger. As a result, in order to make the islet more visible a fifteen-foot marker was erected on its peak. Thumbnail photo by Marc Krombach. Monday, 4th January 2016, 07:13pm. 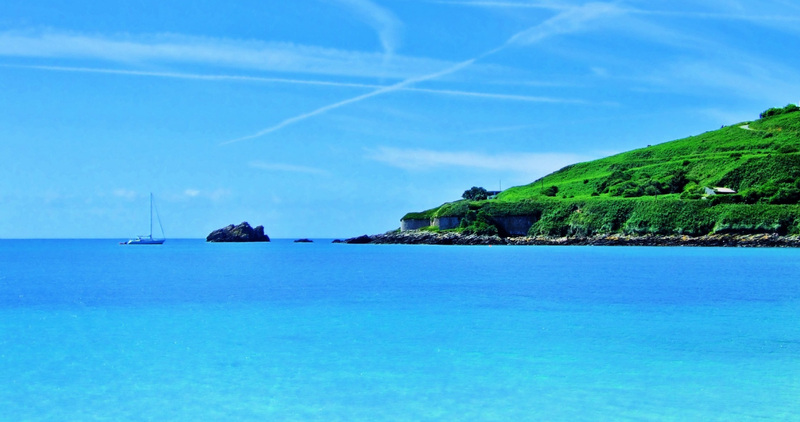 Guernsey is divided into ten parishes, and Castel (or Câtel) is the largest of all the parishes in terms of area.